There’s no busier place at the Barrie Campus than the Athletic and Fitness Centre, featuring an 8,600-square-foot fitness centre and a 20,000-square-foot double gymnasium. You’ll also enjoy our indoor climbing wall, multi-purpose room, indoor walking/running track and well-equipped change rooms with shower and locker areas. 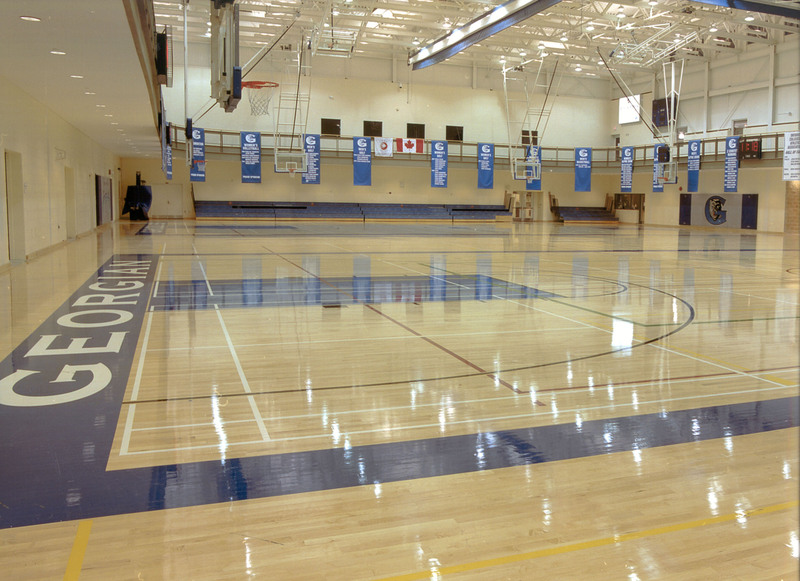 20,000-square-feet including two full regulation basketball and volleyball courts, ten badminton courts, and four basketball and volleyball cross-courts. 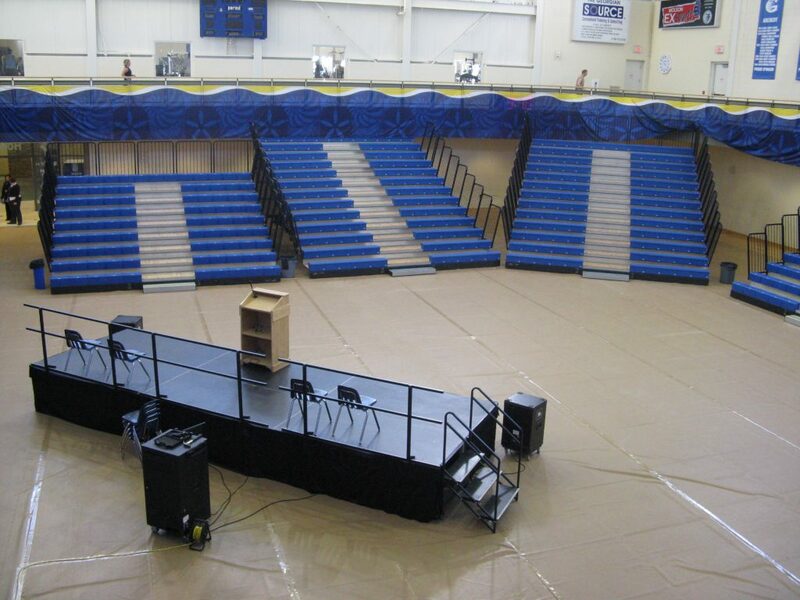 Portable bleachers and staging is available. FIFA one-star certified, state-of-the-art artificial turf field. Includes spectator seating for up to 474 people, players’ benches, rugby/football goal posts, portable soccer nets, lighting for evening games and a digital scoreboard. 10,000-square-feet Fitness Centre including a complete line of strength and rehabilitation equipment, cardio area with bikes, treadmills and elliptical trainers, and a group fitness and instruction studio. 147-metre, three-lane suspended indoor running track surfaced with a rubber base synthetic material that provides maximum traction on the corners and straightaways. The climbing wall is 28-feet high and has 15 different routes. Harnesses and climbing shoes available to rent. To use the wall, you must sign a waiver and pass a one-hour basic safety tutorial which reviews the safety procedures around climbing and belaying. The change rooms are equipped with day-use and monthly rental lockers, showers and full washroom facilities. Are you ready to book your Barrie meeting? Call us or visit us on-location to take a tour of our meeting venues. We can’t wait to show you the perfect space for your event!